4th of July- What Does it Mean to You & 5 Ways to Celebrate! We all know that the 4th of July is the day we remember the signing of the Declaration of Independence, commemorating our independence from England. For us at Chris Gamber Painting we feel that living in a country filled with many great opportunities is a privilege. We are fortunate to help homeowners and businesses show the pride they take in their homes and shops by maintaining them. Thanks to all the clients we've worked with over the years and we look forward to continue this American tradition of keeping our properties in top shape. But enough of what we think, we'd like to know what 4th of July means to YOU! You can reply to this blog or post on our Facebook wall. 1. Decorate your yard with some patriotic stars. Click here to check it out! There are other fun ideas to make your backyard the best place to be this July! 2. 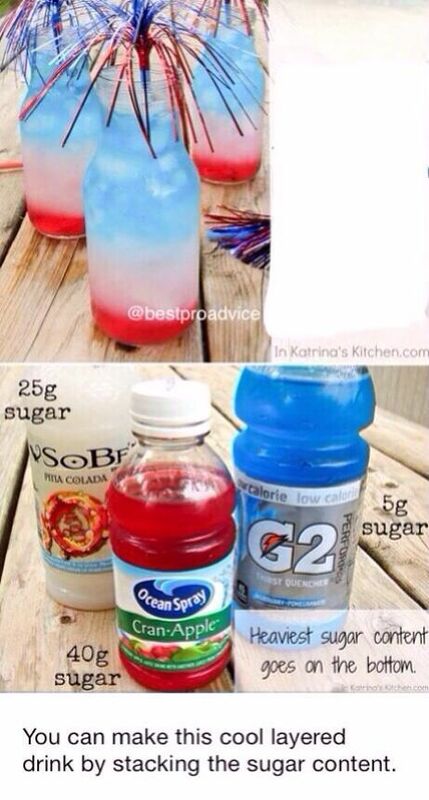 Make red, white and blue drinks for your party- everyone can enjoy this non-alcoholic idea. Click here to see how it's done. 3. Decorate your door with this awesome festive wreath. DIY directions can be found here. It's pretty simple and you can even add your own creative touches. Have fun with it! 4. We can't forget the food. Click here for 30 mouth watering side dishes you can make this holiday. From potato salad to red, white and blue deviled eggs, no one will go hungry! 5. Finally, here's fun patriotic crafts for the kids to make this holiday. They can make these to decorate for the party, or have the crafts available for them to keep busy during the festivities! This link will show you the many options!